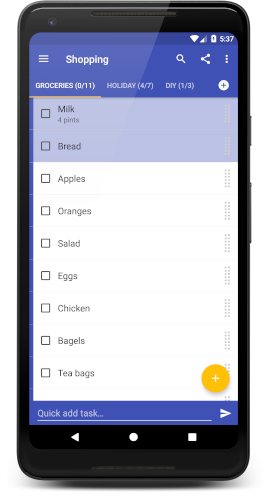 Tasks is a beautifully simple, free todo list and reminder app that will help keep your busy life organised everyday. 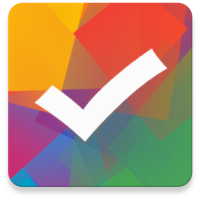 Tasks prioritises ease of use over complex functionality so no matter who you are or what you do Tasks can help! Personalise Tasks your way with a splash of colour. This also helps create an at a glance mind map of your tasks. Tasks priorities ease of use over complex functionality and superfluous features. Never forget to do something. Tasks includes simple one time or recurring notifications and alarms. Add tasks quicker with frictionless text entry. From an idea to saved task in seconds. Focus on the tasks you care about. Like all other functionality in Tasks, filtered lists are fully customisable. Tasks includes a fully functional widget that mirrors the app so you can see whats important from your homescreen. I have so many things going on and the worst memory... This app helps a ton to keep me organized and remind me of things I need to take care of. Great app!! This app has been keeping me on top of things. I'm great with lists, and making one has never been so accessible and easy. Thanks for the help! I have downloaded many task type apps and end up deleting them because they are a pain. This app is awesome! Totally love it!! !